For a synopsis of any of Geoffrey's books, please click on the appropriate cover. Currently, Geoffrey is filming a six part TV series for CBS Reality Original called "Murder by the Sea". CBS Reality commisioned Monster Films - the same team behind last year's ratings hit "Voice of a Serial Killer", which was also presented by Geoffrey - to produce this new series. The 6 x 60 minute series, will examine some of the strangest and most terrifying murders ever recorded in British criminal history taken place at the UK’s famous seaside resorts; locations which, despite their associations with carefree holiday making, have also played host to the most remarkable crimes of murder. 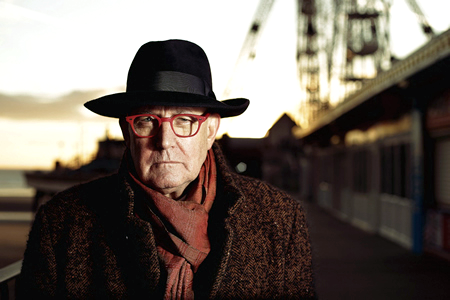 Cases and featured locations include: Stephen Akinmurele of Blackpool, who remains Britain’s most prolific young serial killer; Paul Longworth, the former Commodore of Southport Sailing Club who murdered his wife claiming she had committed suicide; and Terry Clifton, who was jailed for life for Morecambe’s so-called 'Garage Murders'. 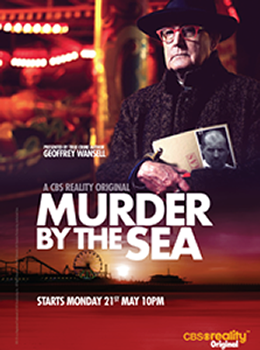 Click here for a preview of "Murder By The Sea". This new and exclusive CBS Reality Original series is set to premiere on Monday 21st May at 10pm on CBS Reality - Sky 146, Virgin 148 and Freeview 135. Pure Evil takes a close look at the country's deadliest criminals, from those who horrified the nation to those less famous but equally brutal, such as Jeremy Bamber, Joanna Dennehy and Ian Huntley. In this shocking, chilling and powerful book Geoffrey Wansell exposes killers' motivations and remorse, but also seeks out an answer to the vital question: should life always mean life? 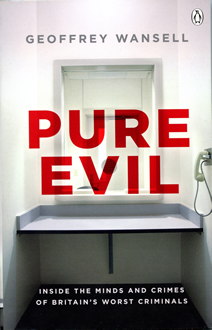 Having observed lifers over more than twenty years, often up close and very personal, Geoffrey Wansell's Pure Evil reveals more of the criminal mind than has ever before been seen. Covering almost 60 cases, with details of the crimes, resulting trials, what the killers said themselves and what the victims’ families felt – Pure Evil is sure to fascinate. Geoffrey Wansell has observed lifers, often up close and very personal for over twenty years. In this chilling yet fascinating book, he looks for answers, and in the process reveals shocking insights into the foulest crimes known to mankind. Geoffrey is an acclaimed true crime writer whose bestselling books include The Bus Stop Killer and An Evil Love. 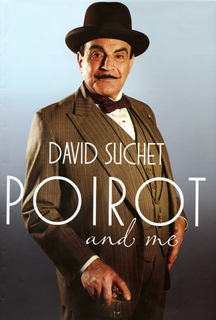 'Poirot and Me' by David Suchet. 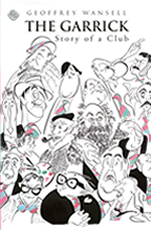 Please click on the cover to the left in order to read the Press Release and some extracts from the book. Geoffrey Wansell's biography of Terence Rattigan has been republished by Oberon Books and can be purchased nationwide and at all the usual online bookstores, including Waterstones and at the National Theatre Bookshop in London. Also, it has now been published as an ebook and can be purchased and downloaded at the Kindle Book Store. Since January 2009, Geoffrey has been The Daily Mail's Thriller Reviewer and many of his reviews can be read by clicking here. Or by clicking here you will be able to read some of his Thriller Reviews on this web-site. Geoffrey can be heard regularly on Radio 2 on the Jeremy Vine Show. Geoffrey Wansell is an award-winning freelance journalist who works principally for the Daily Mail. 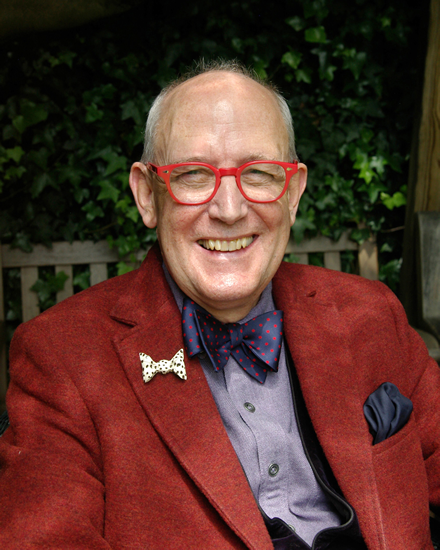 He has written eight books on a variety of subjects and is the official historian for the Garrick Club - and a Trustee! Geoffrey Wansell was the authorised biographer of the Gloucester-based serial killer Frederick West, having been appointed to the role by the Official Solicitor to the Supreme Court, as a result he has been acknowledged as one of Britain’s leading authorities on serial murderers. He lives in London.